Construction was being carried out just in the place of Nakano Sun Mall academy connected as if it is directly connected to the ticket gate at JR Nakano station north entrance. It is preparing to open a shop. The place where Yamada Denki was before was replaced by shop inverse. 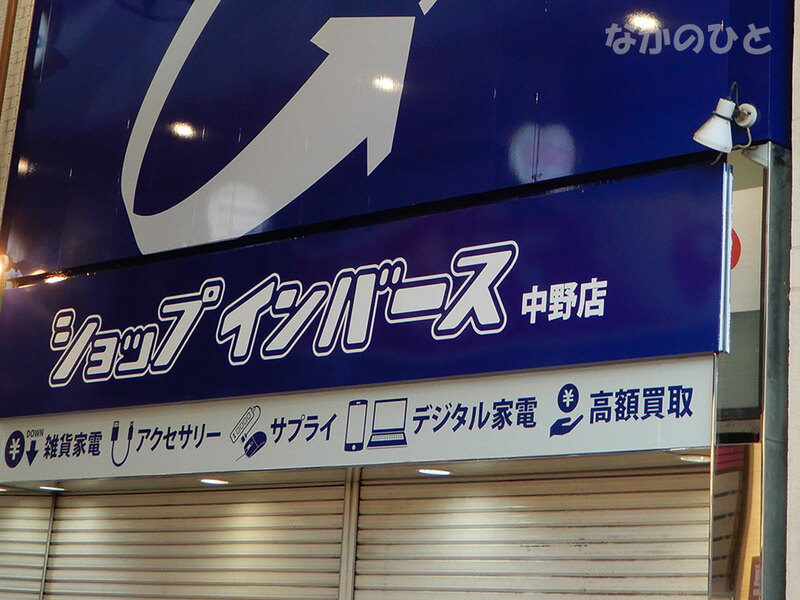 There are some stores in Akihabara, it is a used PC etc shop. The shop in Akihabara, the product selection is somewhat distinctive, I think that I am choosing a customer base somewhat if I say it frankly. It is the gateway to Nakano, appearing at the very edge of Nakano Sun Mall Academy. The opening sale is from 7th (Friday) and it will be opening soon soon. This page contains a single entry by shannon published on September 5, 2018 9:26 PM. Haruya Shoten Receives Messages to Mr. Ryota Yamazato was the previous entry in this blog. Mekiki no Ginji Japanese Pub's Tuna Tataki & Tuna rice-bowl is the next entry in this blog.